You've got to wonder about trailers. Created as a taste of a film to come, and designed to entice an audience into the theatre, you would think they'd be one of the most important aspects of the filmmaking process. In fact, more times than not, they tend to either give away all the best bits, miss the essential bits, or give an entirely different idea of what the film is about. In the case of Anton Corbijn's film, The American, it was the latter. The theatre filled to near capacity but was soon partially empty again as many people walked out complaining at the lack of action and dialogue. “Well that was a sleeper. 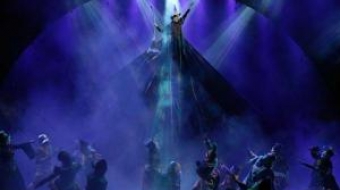 Certainly not what I'd expected.” one woman said as she exited the theatre. They'd come anticipating an entirely different experience. A shame because mistakes like that not only disappoint those expecting what was promised, but succeeds in missing its proper target audience. 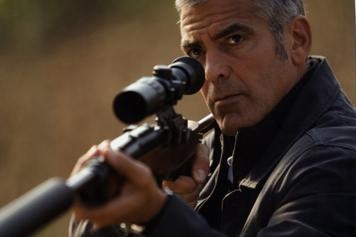 With regards to the film itself, The American, starring George Clooney, was actually pretty awesome. For those of us who did stick around, it was an evening well spent. The film's pacing was right on, capturing the mood and tone of the story and location to a tee. The lighting and sets were gorgeous. The story had been told before but still seemed fresh, and flowed beautifully. The minimal dialogue and bloodshed actually fit the film perfectly. There was plenty being said visually and it was nice not to be spoon-fed for a change. Having said that, the one thing that did stand out as a distraction was Clooney himself. George Clooney as a calculated killer, although he did a great job with what he had, wasn't entirely believable only because he exudes too much niceness. There wasn't quite enough to reminded us of his character's apparent capacity for evil. There needed to be more of a consistent edge of icy calculated coldness to give him that degree of believability and balance. Instead, more times than not, he was really quite likeable: even loveable as he bonded with the priest or exchanged coded conversation with the extraordinarily beautiful young girl in the cafe who in small town rural Italy had no other options than to become a prostitute... ok, there was a problem with that too. Given all that though, the film was still quite enjoyable. It was beautiful, well edited, and had a richness to it that brought you in nice and close for a visual taste of Italy. A suggestion: if at all possible, avoid the trailer, and go straight to the film.